If you had three children and gave each of them $28,000 in Trust per year for 10 years, that would amount to $840,000 of tax-free gifts to their Trust. At death, none of that $840,000 would be subject to federal estate tax. As we saw in the case of the Children’s Trust, a taxpayer may give up to $14,000 (indexed for inflation) annually to another person free of gift taxes. Other than the per-person rule, there’s no limit on the total amount you can give away. For example, if you have five children and eight grandchildren, you and your spouse could give each one $28,000, for a total of $364,000 annually, gift tax-free. That can buy a lot of life insurance. By carefully following the IRS rules, you can employ this gift tax exemption to make the policy’s premium payments. Mr. Stephen Mendel is an attorney who focuses a substantial part of his practice on estate planning. 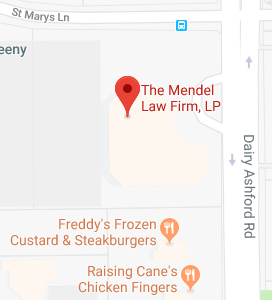 Mr. Mendel’s guiding principle is to provide his clients with quality legal services tailored to each client’s specific needs and goals.